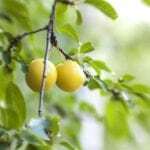 Lawn and garden maintenance can be one daunting task after another, especially if you’re struggling with plants that keep popping up where they’re not wanted. Ruellia, also known as Mexican petunia, is one of those annoying little plants that walks the line between being a beautiful ornamental and an incredibly noxious weed. They can be defeated in the home landscaping, but it takes a great deal of patience to knock them back. Although plenty of gardeners have cultivated Ruellia brittoniana over the years, it has since escaped home gardens and become classified as an invasive plant in nine states, stretching from South Carolina to Texas. Because of its adaptability and rapid reproduction, Mexican petunia has managed to supplant native species in many areas and across several types of natural communities. If you want to cultivate this plant, it’s still ok to do so, provided you purchase sterile specimens from your nursery. 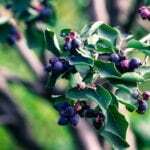 “Purple Showers,” “Mayan Purple,” “Mayan White” and “Mayan Pink” are common varieties that will cause a lot fewer problems in the landscape. They will still require careful disposal of clippings and cultivation, however, because even the sterile types can escape and repopulate using their rhizomes. How Can I Kill Mexican Petunias? If you live in one of the nine states most affected by Ruellia, you’re probably wondering how to get rid of Mexican petunias. 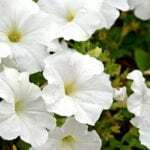 In truth, Mexican petunia removal requires vigilant attention to the garden or lawn where they’re a problem and may become a long-term project. Because the seeds of the Mexican petunia can germinate for years after the adults are gone, it’s a battle you’ve got to really commit to. Although pulling Mexican petunia can work for a few small plants, if you fail to dig the whole root or miss a sprout, you’ll be doing it all again soon. The best bet is to treat the foliage of the plants with glyphosate and kill them back to the root. Regrowth after the first application is expected, so be prepared to spray again each time you notice the plants setting new leaves. If your Mexican petunias are in the lawn or other delicate area where spraying herbicides might not be a great idea, you can cut the plants back by hand. Carefully dispose of the vegetation so that it can’t have a chance to regrow. Since you’ll only be destroying the top part of the plant, you’ll need to recut it every time it starts to leaf out to force it to use its energy stores and run itself out of food.